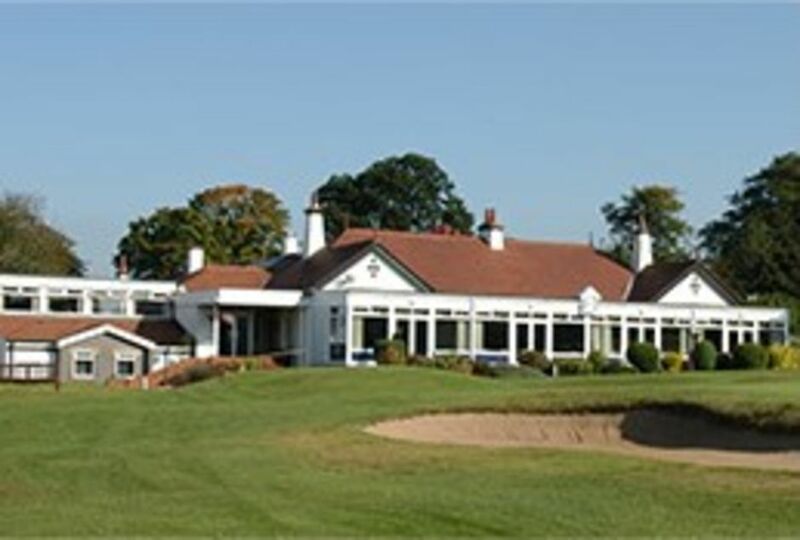 Wakefield Golf Club was formed at a meeting held at The Bull Hotel, Wakefield in August 1891. Nine holes were laid out on common land at Heath and play commenced on 2nd April 1892, although there are reports that golf had been played on the site for some time before the formation, preceded by Knurr and Spell. The Club started with about 30 members, each paying an annual subscription and an entrance fee of one guinea. Membership reached 200 by the end of 1906. A Clubhouse opened on Heath Common in October 1897, marked by an exhibition match between Harry Vardon, the Open Champion in 1896 and on five more occasions, and Alex Herd, the Huddersfield Professional and later Open Champion in 1902. The original clubhouse remains today as a residential property. In 1906 an unsuccessful attempt was made to acquire adjacent land to extend the course to 18 holes. By 1910, many members were dissatisfied that it was not possible to extend the course to 18 holes combined with the disadvantages connected with playing on common land used as a recreational area by the public. At a Special General Meeting in November 1910 a proposal to develop a new course on land owned by Sir Thomas Pilkington at Woodthorpe was approved by a majority. Prior to the proposal the land was surveyed favourably by Alex Herd, the Huddersfield Professional, although Dr. Alistair Mackenzie was not so enthusiastic. The desire to leave the Common was not unanimous on financial grounds that there were not 200 members that would be in a position to pay an annual subscription of three guineas. Despite this the proposal to an 18 hole course on old pasture land at Woodthorpe, Sandal, was adopted by a majority. The dissenters subsequently formed Heath Golf Club and continued playing on the original links until the mid 1930’s. Alex Herd laid out the course in late 1910 and work commenced on its construction soon after. Dr Alister MacKenzie was commissioned in 1911 to advise on bunkering. The course opened for play on 30th September 1911. The length of the course at that time was 6721 yards, 58 yards longer than the current 6663 yards. The course in 1911 was essentially the same as today with an anti-clockwise loop of 9 holes enclosing a clockwise loop, each starting from and returning to the Clubhouse. The principal differences were the first hole which is now effectively the current first and second, and the original short par 3 third which no longer exists. The old 3rd was abandoned in 1933 with a new par 3 introduced between the current 5th green and 6th tee. This was later abandoned and the course as it is today has been in use since the early 1960’s. Progressive changes to greens, length, bunkering and planting have taken place since and continue to do so. 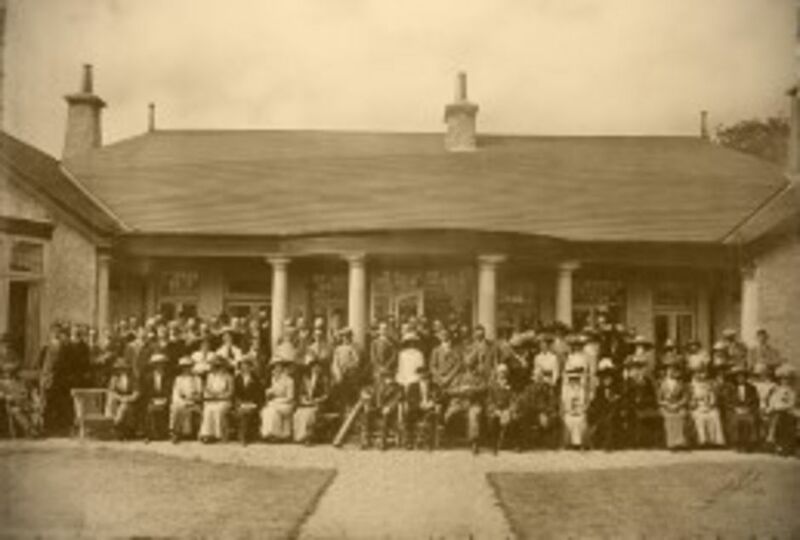 The course and clubhouse were officially opened on 25th May 1912 by the Right Hon. John Scott, 3rd Earl of Eldon, commemorated by the donation of the Lord Eldon’s Challenge Cup’s. These were first played for in 1913 and remain today as the Club knockout competition for foursomes. The opening was also celebrated by a 36 hole challenge match between James Braid and J.H.Taylor, both Open Champions on five occasions. Despite the reservations at the time of the decision to move to Woodthorpe, the Club continued to prosper with 278 members at the time of the opening for play in September 1911, reaching 430 by the end of 1912, more than double the number in the last year at Heath. During the First World War the Club was fortunate to avoid the demand on golf clubs to surrender land for ploughing due to the generosity of the landowner Sir Thomas Pilkington, who rather than see the course touched gave up some of his other land for the purpose. Instead the course continued for play whilst sheep and cattle were allowed to graze. It wasn’t until 1926 that the sheep and cattle were removed from the course. In early 1922, the Club unveiled and dedicated a memorial in commemoration of the members of the Club who gave their lives during the First World War. The memorial, in the form of a sundial was placed on the practice putting green in front of the Clubhouse, where it remains today. More than one hundred members of the Club served their country with over twenty giving their lives. One of those who did not return was George Ernest Skevington, the Club Professional, killed in France in 1917. In 2000 the Club were able to purchase and display a hickory shaft putter made by Skevington during his time at Wakefield. In 1929 the Club were asked by the Royal and Ancient Golf Club if they would subscribe towards the working of a Scientific Advisory Greens Committee based at Bingley. The Club donated one guinea. This was what we now know as the Sports Turf Research Institute (STRI) who advises the Club today on agronomy and course maintenance. The late 1930s saw the demise of Heath Golf Club, the final straw being the opening of the municipal course at Lupset. There is little evidence of its existence after 1939. In 1938 the Club accepted about one hundred Heath members without payment of any entry fee. In 1942, at the request of the War-Time Agricultural Executive Committee, the Club surrendered approximately 27 acres for ploughing to contribute to the war effort. The Club’s leading player has been Alan Slater who was Member at Woodthorpe for 56 years until his death in 1988. He represented Yorkshire on 122 occasions, and appeared in four County Finals. He won the Union’s Barstow Trophy and the Leeds and District Championship, each on four occasions. In the same year, Slater made his debut for England in the home international matches at Royal Birkdale. He went on to represent his country on four occasions. Slater’s favourite course was the Old Course at St Andrews and following his death in 1988, a bridge similar to the one over the Swilken Burn was erected in his memory, over the ditch crossing the fifth fairway.